Since shortly after the Wii Remote first brought motion control to the masses, we've known that over-enthusiastic use (and slippery hands) can lead to controllers (and other things) getting broken. So what happens when Kinect's 3D camera turns your entire body into the controller? Well, not surprisingly, it turns out You 're the one that could get broken. 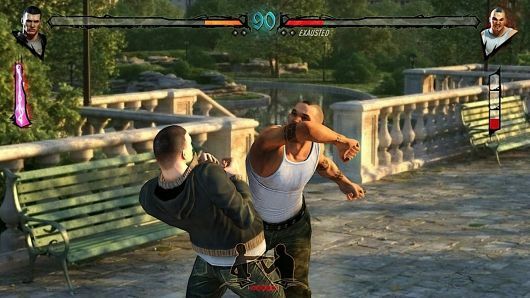 \\ "Versus mode was too dangerous," Fighters UncagedProducer Luc Verdier said, when asked about the competitive regime for its recently announced Kinect-enabled fighting game. "It's possible to do, but people just end up hitting each other." Thus, the game's only multiplayer mode is a cooperative battle, where two players work together against the artificial intelligence. Overheard @ Gamescom: Competitive Kinect fighting is dangerous originally appeared on Joystiqon Fri, August 20, 2010 18:30:00 EST. Please see our terms for use of feeds .